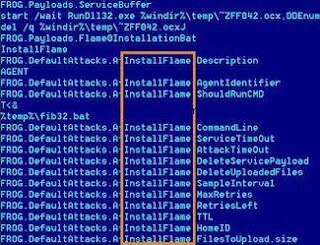 Russian computer firm was recently discovered a new computer virus "FLAME" with unprecedented destructive potential that could be used as "Cyberweapon" by the West and Israil. and targets Iran. This virus apprx 189 computers in Iran. Iran appears to have been the main target of the attack and the announcement comes just a month after the Islamic Republic said it halted the spread of a data-deleting virus targeting computer servers in its oil sector. Kaspersky said the virus was several times larger than the Stuxnet worm that was discovered in 2010 and targeted the Iranian nuclear programme, reportedly at the behest of Western or Israeli security agencies. It said the main task of Flame is cyber espionage, meaning it steals information from infected machines including documents, screenshots and even audio recordings. It then sends the data to servers all over the world. Flame is “actively being used as a cyberweapon attacking entities in several countries”, Kaspersky said in a statement late on Monday. Flame is “one of the most advanced and complete attack-toolkits ever discovered”. The chief security expert at Kaspersky, Alexander Gostev, said that Iran was the country by far the worst affected by Flame followed by Israel/Palestinian Territories, Sudan, Syria and Lebanon. He said that the aim of the virus was clearly to “collect information” on the operations of states in the Middle East such as Iran, Lebanon and Syria. Without giving any indication that Israeli spy agency Mossad could be involved in Flame, Israel's Strategic Affairs Minister Moshe Yaalon said such cyberweapons were an important part of the arsenal of Iran's enemies. Iran swiftly claimed to have come up with an anti-virus programme against Flame. “Tools to recognise and clean this malware have been developed,” Maher, a computer emergency response team coordination centre in Iran's telecommunications ministry, said on its website. Key words: Virus, Computer Virus, Flame Virus, Cyberweapon.